The veil is thinning; can you feel it, witches? If you haven't already, this is a great time to hedge ride for any reason whatsoever and is the easiest time to cross the veil as the veil is already thin. So if you haven't tried it yet, go ahead and give it a shot. My complete guide to hedge riding can be found here. With the thinning of the veil, spirits are able to easily pass into our realm, which means your ancestors will likely show up to visit come Samhain. It is during Samhain that many witches honor those who have since passed on. I currently have my Ancestral Tree set up in my living room, and I'm looking forward to honoring those who have crossed the veil this Samhain. How exactly do I plan to do that? 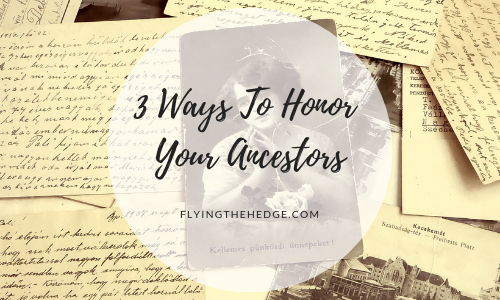 Well, there are three simple ways you can honor your loved ones this Samhain! 1. Set up an ancestral altar. This is kind of an obvious one, but a great idea nonetheless. Your ancestral altar can be as simple or as ornate as you wish. The purpose, however, is to guide your ancestors home during Samhain and honor their passing. In the Mexican tradition, this altar is called an ofrenda, which is Spanish for "offering." Ofrendas are generally ornate, having multiple levels to honor the saints, deceased relatives, and to offer food and drink to the departed souls coming to visit. A candle for each loved one is placed on the ofrenda to guide them home. The same can be done for your ancestral altar, but on a smaller scale. Feel free to place pictures, candles, flowers, food & drink, or even favorite possessions of your loved ones on your ancestral altar. 2. Hold a Dumb Supper. Okay, the name sounds sketchy and totally disrespectful to your ancestors, but it is quite the opposite. The "dumb" in this case refers to silence. While the history of the Dumb Supper is highly debated, I believe its a fantastic tradition and a great way to celebrate your ancestors. During a Dumb Supper, no guest is to speak. The area should be cleansed and a circle cast if you so please. At least one chair should be set aside for the spiritual guests. Be sure to have a plate of food at each spirit chair for your ancestors to enjoy. Since it isn't feasible to have a chair for every ancestor or loved one you wish to honor, a tea light candle for each one can be used to honor them. As guests enter, they should stop at the spirit chair and offer a silent prayer. Guests may wish to bring a private note on which their message to their loved ones is written. Once the meal is complete, guests should find the candle associated with their loved one, silently pray on the message they wish to send, then burn the message in the flames. As guest silently leave, they should silently say goodbye to the spirit chair. Once the ritual is complete, talking may commence once more. Most witches tend to serve seasonal food items such as squash, pumpkin treats, apples, and hearty soups during the dinner, but any type of food is fine. You may wish to cook an ancestors favorite meal! 3. Write them letters and bury them. 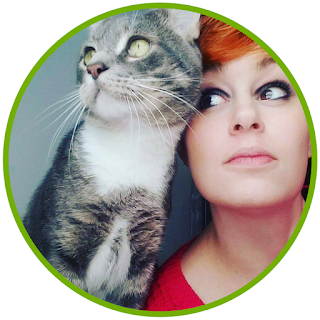 This is a great way to magically connect with your ancestors in a nontraditional way. This simple ritual can be performed on Samhain or the days prior. Simply light a small candle for each ancestor you wish to contact, ask them to join you if they can, and begin writing your letters. Anything you wish to write is perfectly fine. You may also wish to include your own intentions for your life in the future and ask your ancestors for aid in fulfilling these intentions. Once you are done, bury the letter someplace important to you, your ancestor, or your intentions. I realize not everyone can easily access a favorite place visited by their ancestor, but an important place to you is just as powerful. For more information, you may wish to check out these other resources. A Feast with the Dead, ThoughtCo.